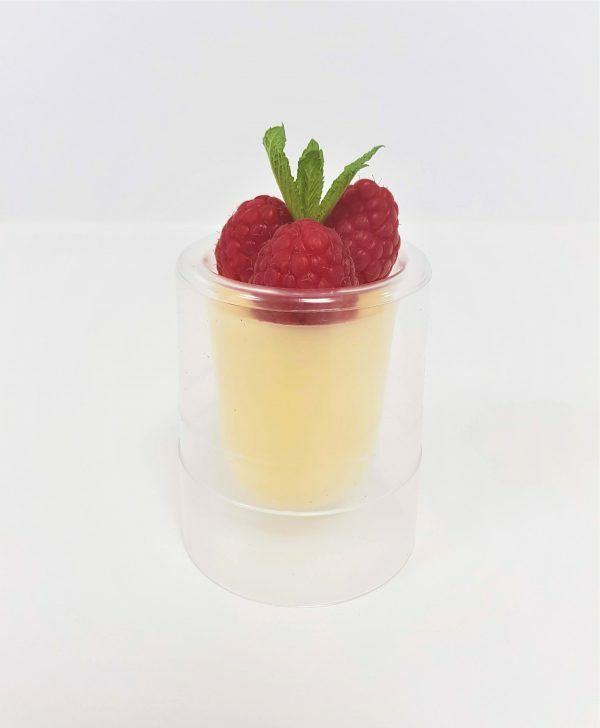 A miniature of a sweet and silky Lemon Posset dessert with fresh raspberries. 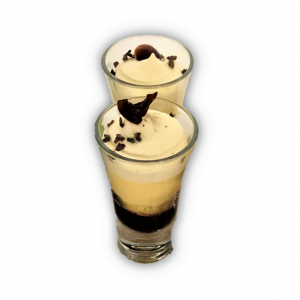 Served in a disposable plastic shot glass. Contains: lemon juice, cream, milk, sugar, fresh raspberries.